There might not be many food markets in Malmö, but the ones that are there benefit from the burgeoning foodie scene that is attracting attention far and wide. In addition, Malmö is somewhat the food basket of Sweden and its proximity to the sea adds to its foodie credentials. Here are the best food markets in Malmö. Malmö’s Saluhall is an institution for foodies in the area. With everything from handmade artisanal sausages and organic coffee beans to ready-made meals – plus flowers to make your setting even more inviting – it’s a one-stop shop for all your food needs. There is also a number of excellent restaurants where you can grab a bite. There are few more relaxing ways to spend a Saturday morning than meandering through a farmers market and picking up the freshest of food for your weekend cooking. Malmö‘s farmers market at Drottningtorget is held on Saturday mornings from mid-spring to mid-autumn and is where farmers from around the area sell their wares. There are the usual Swedish favourites, such as chanterelle mushrooms and wild strawberries, but also plenty of homemade preserves, special breads, and some rather more exotic ingredients. This is where multicultural Malmö comes into its own as far as food is concerned. Offering up a wide variety of both Swedish and international ingredients, the hustle and bustle is what a great food market should be. You can haggle with the vendors (to a point) and discover new flavours with which to delight your taste buds. It may not look like much, but this fish market is eco-friendly and also the region’s largest marketplace for fresh fish and seafood. Located in the centre of Malmö, close to Malmö Museum, the market is known for selling a remarkably wide range of locally caught fish and seafood – and also offers pickled herring, smoked salmon, and eel from its own smokehouses. 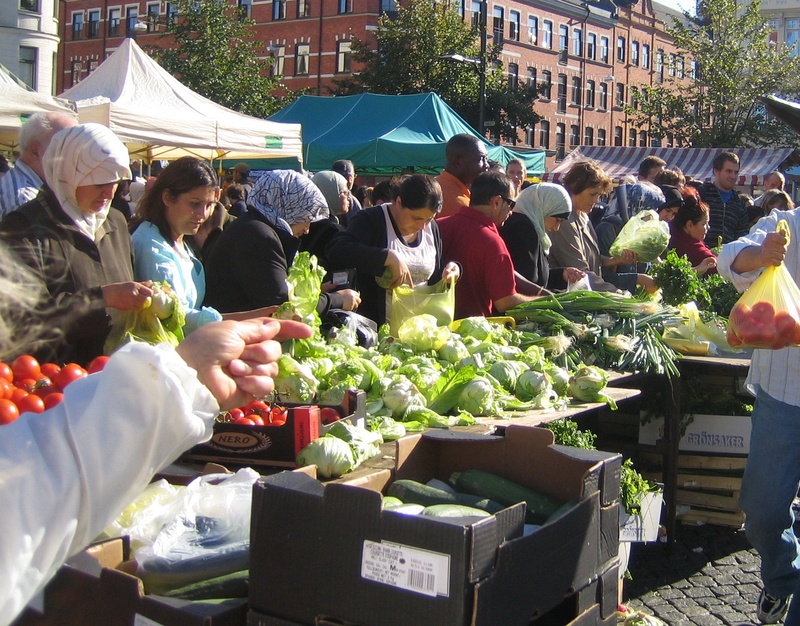 Enjoy the best food markets in Malmö with this handy map.